The SUNY New Paltz School of Business welcomes all members of the Hudson Valley business community to its 2019 Hall of Fame Induction Ceremony, Wednesday, Apr. 24, from 5 – 8 p.m. at The Grandview, 176 Rinaldi Blvd., in Poughkeepsie, New York. Since 2001, the School of Business Hall of Fame has recognized the achievements of students, faculty, alumni and community members who have made significant contributions to their respective business professions and to the educational activities at New Paltz. 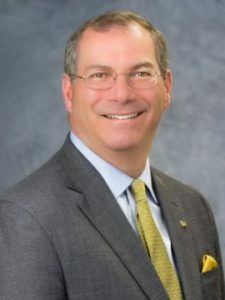 Calderara has served in his current role as President and CEO of Ulster Savings Bank since 2016, managing a team of financial services experts and working to ensure that all bank operations exceed client expectations. 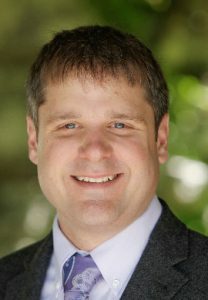 As Executive Director of Upstate Capital Association since 2016, Simons has overseen operations of the premier networking organization for upstate New York investors and businesses seeking capital. 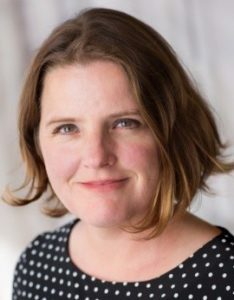 She is additionally a founding manager of the Hudson Valley Startup Fund. SUNY New Paltz alumnus Tom Smiley continued a 150-year tradition of Smiley family management of Mohonk Mountain House when he assumed the role of Chief Executive Officer in the summer of 2018. He has maintained close ties with the College and the School of Business, serving on the Business Advisory Council and as a guest speaker with students at events like the Business Plan Competition. A business major and Honors student, Giselle Huriracocha is among the most engaged members of the Class of ’19 and a strong ambassador for the School of Business. She is the sitting president of the Business Association for Students of Color, and served her peers as a Summer Orientation Leader and Peer Mentor for new and underclass business students. 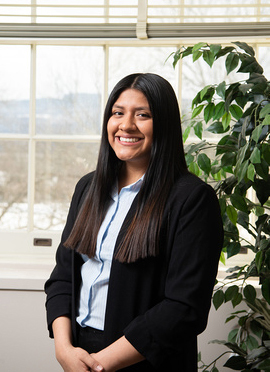 Huriracocha has also been actively involved in student life during her time at New Paltz. She has served as a representative of the Student Association Council of Organization, a current Student Activity Manager, and a member of the Chi Upsilon Sigma National Latin Sorority. All new inductees will be recognized at the SUNY New Paltz School of Business Hall of Fame Induction Ceremony, Apr. 24, 2019, at 5 p.m. at the Grandview in Poughkeepsie, New York. For more information, visit the School of Business online, or call (845) 257-2930 to reserve your seat. SUNY New Paltz’s School of Business is an accredited member of the Association to Advance Collegiate Schools of Business (AACSB), the highest achievement available to educational institutions that award business degrees. Less than five percent of the world’s business programs have earned AACSB accreditation. The School of Business offers Bachelor of Science degrees in data analytics, accounting, finance, general business, international business, marketing and management, as well as a Master in Business Administration (MBA) and an MBA with a concentration in public accountancy. The School of Business is committed to educating and developing its nearly 1,000 students to thrive as business professionals in a global economy.